The last thing anyone wants is for their home to smell musty, or like the fish they fried for dinner, or of the dog or cat — as much as we love our pets. 2. 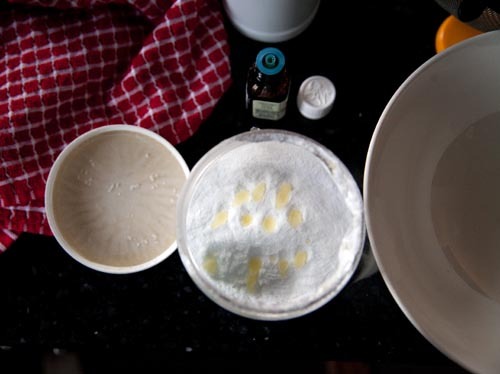 Mix oil of lemon with some baking soda. I bought the oil of lemon from Mom’s Organic Market but you can find it in most natural food stores. I sifted the baking soda with the lemon oil to break up clumps. 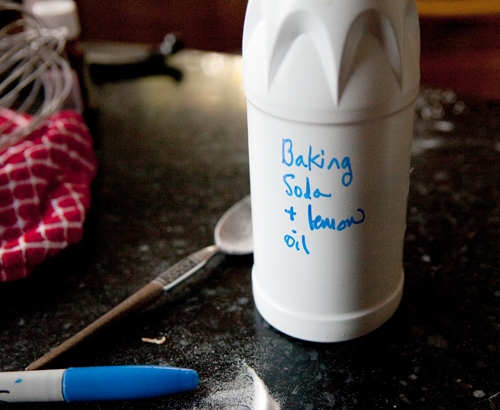 Then, I put the mixed in the original baking soda shaker container. 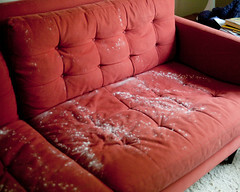 I went around the house and shook the powder on all carpets and on the sofa and chair where the dog lies. I added extra on problem areas, where she has had accidents (although I had used an enzyme solution on these areas when I first discovered them). 3. 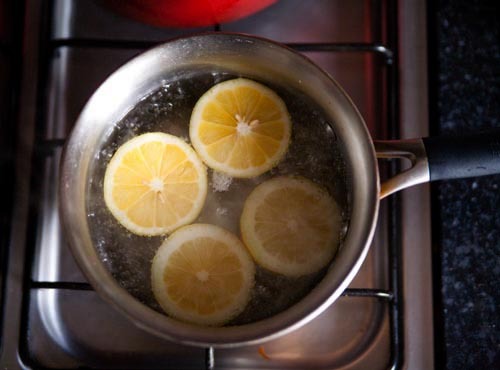 Slice a couple of lemons in fourths and let them boil on the stove. The clean bright smell wafted throughout the main floor. I then carried the still steaming pot around the house, and let me tell you, I felt like I had just done a major spring cleaning. The effect is so immediate and satisfying. 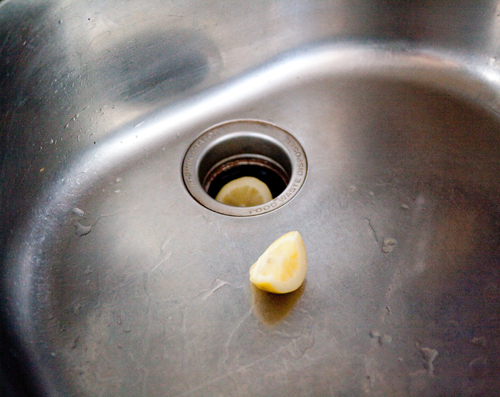 Afterward, I wiped the sink with the lemon peel and then ground a couple in the disposal to deodorize it. 4. 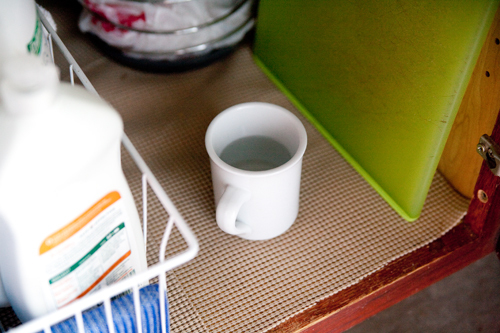 I put a cup of vinegar under the sink where we usually keep a worm composting bin. 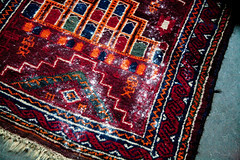 It normally doesn’t smell at all, but a little odor eliminator can’t hurt. You can also put a bowl of vinegar or baking soda, or even coffee grounds in the refrigerator or freezer to absorb unpleasant smells. 5. 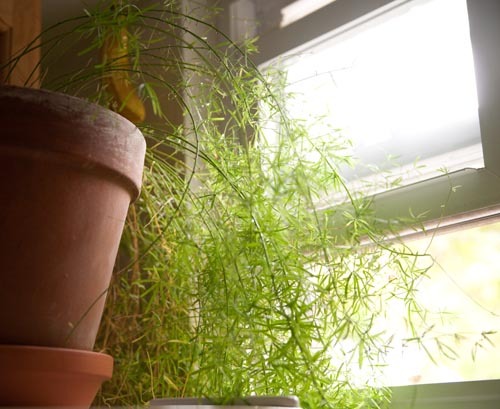 Finally, every house can benefit from house plants. They really are the most effective means of cleaning the air according to a NASA indoor air quality study. 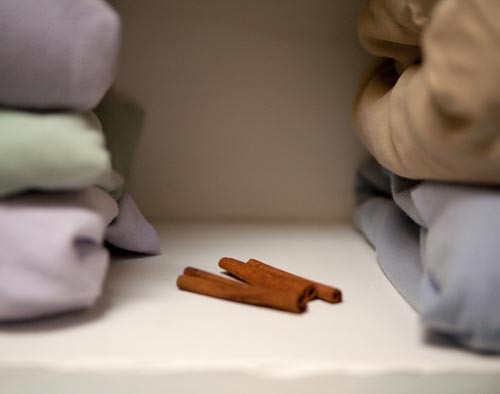 Natasha at Pure Prana Yoga Studio has some great tips that you can use in your home too. 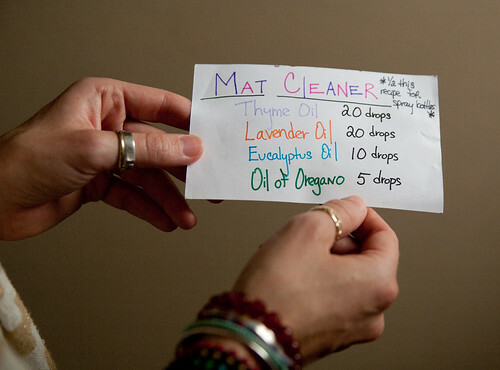 In our tour of her studio, she shared her recipe for an all-purpose cleaning solution and showed us how she cleans the studio using only natural products. Now, once you know you’re conquered the source of bad odors, adding a nice scented candle or some herbal soap is a great idea. 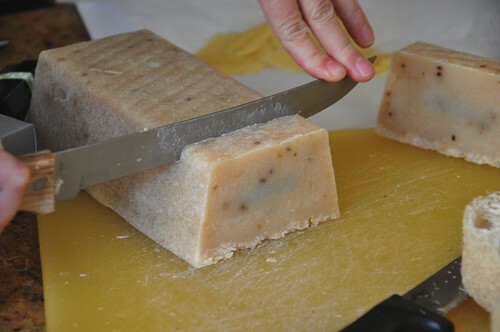 We especially like local DIY soap makers: Wessex Soap and Truly-Life handmade soaps. And if you want to make a nice spritzer, these four scents make for a warm seasonal room spray (a few drops of each mixed in a spray bottle with a distilled water). After you give these techniques a try, maybe you can add build on them and experiment with more “advanced” techniques. 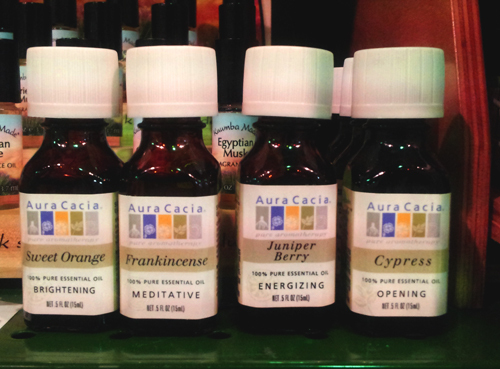 Do you have any tried and true natural remedies for removing odors in your home? Thank you for sharing! Looking forward to trying these tips!